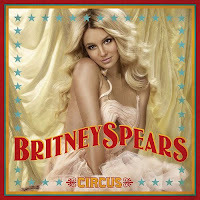 Think what you must about Britney Spears – and EVERYONE has an opinion of her... but the girl is back in full force with her new record CIRCUS – hot, hot, H-O-T. I wasn't much of a fan in the early days and actually started digging her in the height of her extreme tabloid spell when Blackout was released. LUVd Toy Soldier and Heaven on Earth and the remixes were pretty phenom. So lets hope that the days of the shaved head, pink wig, coochi flash and reckless ways are over cause Circus is loaded with good music. I was lucky to get an advanced copy of the cd and it's been playing heavy rotation on my iPod. Of course Womanizer rocks but some of the bonus tracks are my favorites like Amnesia and Phonography. CIRCUS is at the top of my "Getting Ready" playlist. Thats what I listen to when –you guessed it– getting ready for work or going out. This is good shaving music! So I've been rocking out with my latest FAV's Britney and my Billy Jealousy "Hydroplane" Shave Cream.